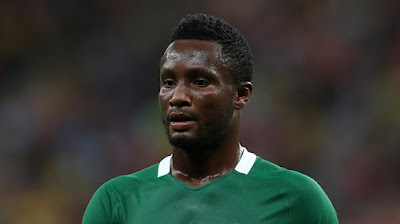 The Super Eagles coach, Gernot Rohr, and the captain of the country's national team, John Obi Mikel, have revealed why the team suffered a 2-1 defeat at the hands of England on Saturday at Wembley. In their post-match presentations, Rohr and Mikel agreed that the Eagles played poorly in the first half and only achieved their acts in the second half. "We can play better than in the first half, and that's what happened in the second half, we know we can play like that, we have to put pressure on the teams and play more like we did in the second half, if we played like that in the Copa del World, I know we can win games, "said the Super Eagles captain after Saturday's friendly. Mikel noted that the tactics adopted by the Three Lions trimmed their wing in the first half and things only improved in the second half when Rohr also changed the formation to adapt it to what the local team brought to the table. For his part, Rohr said he learned a lot from the game on Saturday and also gave him the opportunity to have a fresher perspective of the players. "This game shows that we still have a lot of work to do to be ready for the World Cup, we have to make the best use of the two weeks left before our first game in Russia, it's time to focus, without distractions." The Super Eagles depart for Austria from London, where they would cross their shirts and splash the I before heading to Russia. The team will face the Czech Republic in their last test game.